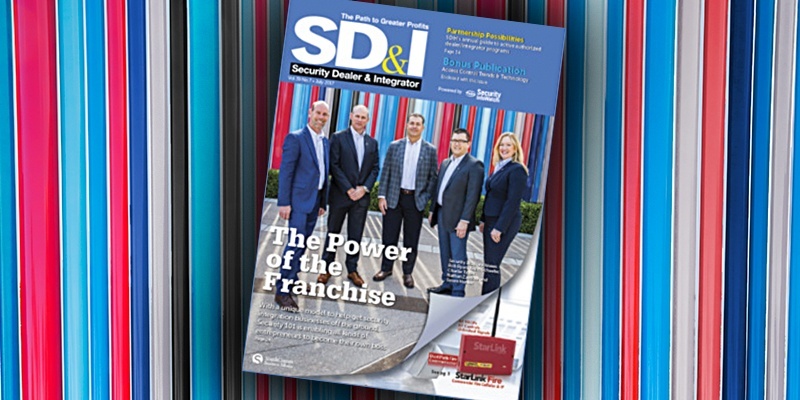 Earlier this year, five of our franchise owners sat down with Security Dealer & Integrator (SD&I) magazine to discuss their experiences of opening a Security 101 office and running an integration business with the support Security 101 brings to the table. These owners (as pictured above) included Rob Ryan of Security 101 – New York/New Jersey, Kevin Schaefer of Security 101 – San Diego/Los Angeles, Charlie Taylor of Security 101 – Jacksonville, Nathan Zautcke of Security 101 – Detroit, and Susan Hunter of Security 101 – Hampton Roads. Everyone has dreamed of being the boss, but starting a business is fraught with challenges – there is money at risk, new skills to learn and long hours. The barriers to breaking into the security integration business are even higher than most, with an immediate need for employees, facilities, inventory, equipment, vehicles, licensing and insurance. Add in competition from well-known national and regional integrators, and these roadblocks tend to keep the idea of becoming your own boss a dream. But a growing number of security entrepreneurs are turning dreams into reality – launching their own businesses thanks to a model most often associated with the retail, food or hospitality industries – the franchise model. Since 2007, West Palm Beach, Fla.-based Security 101 has been selling integrator franchise territories. The concept – unique to the security industry – has worked. There are currently 37 Security 101 franchises that cover the United States from coast to coast, including the most recently opened Security 101 in Los Angeles. Click below to keep reading and reveal several topics discussed including how the franchise model works, taking the first step, the benefits to the partnership, and adjusting to being the boss. Subscribers to SD&I magazine should watch for the July issue coming in the mail later this month! Security 101 has locations from LA to New York — and from Detroit to Miami. Use the button below to view all locations and contact a local owner in your market.